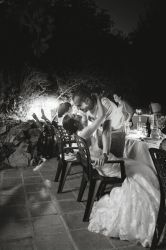 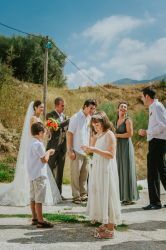 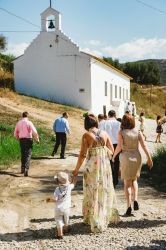 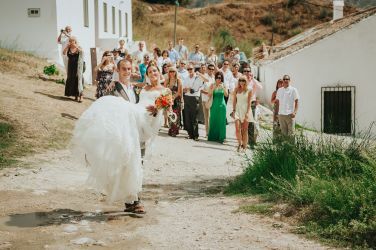 There are many reasons why couples choose to have their wedding abroad like this Spain Destination Wedding Malaga. 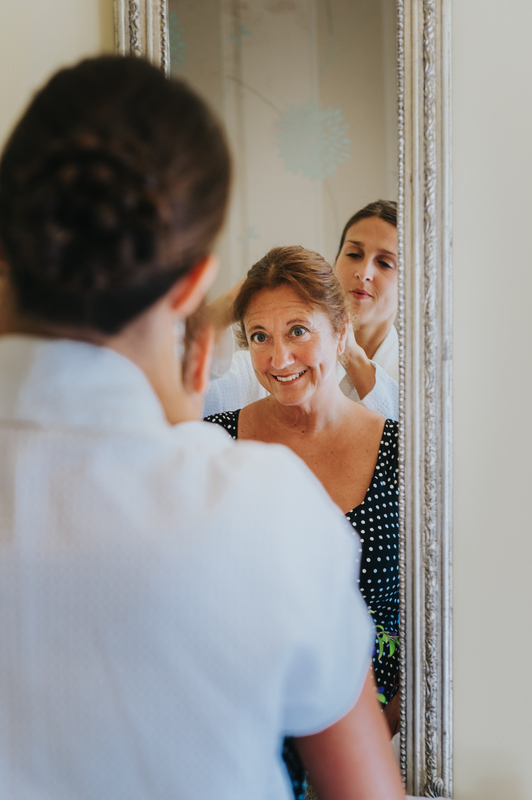 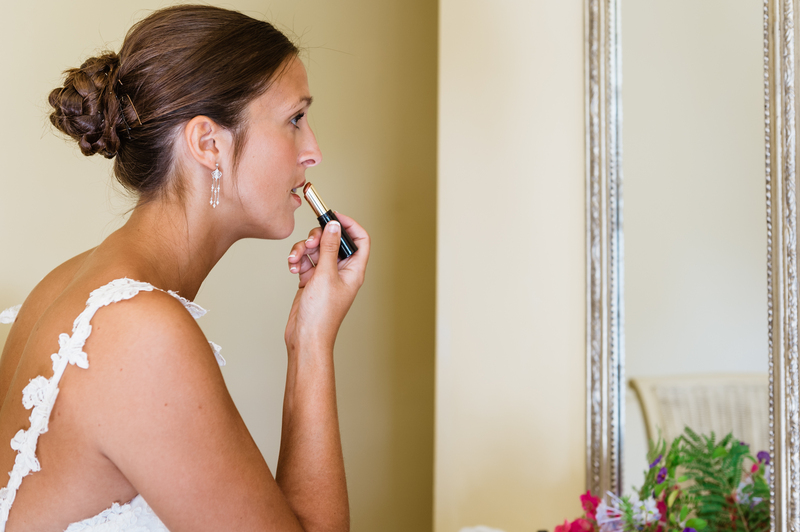 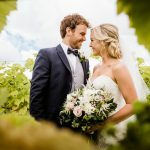 The biggest attraction being the high chance of sunshine on your wedding day. 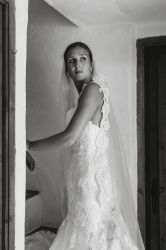 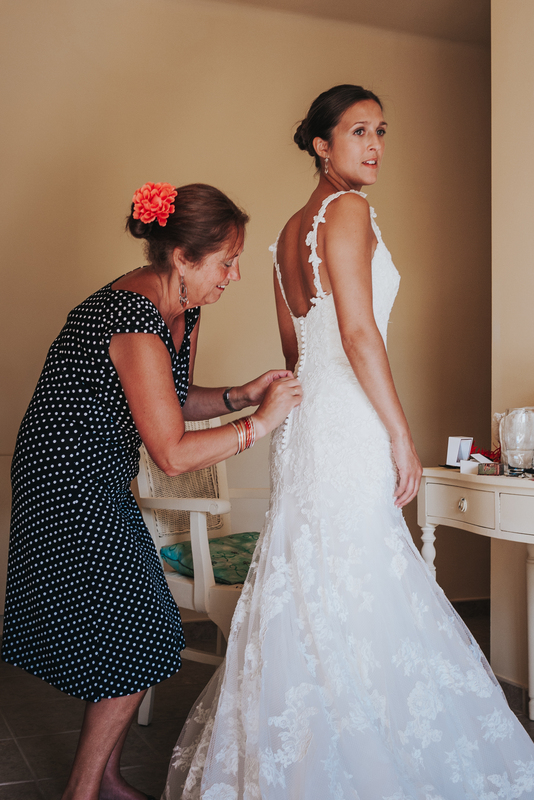 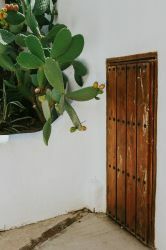 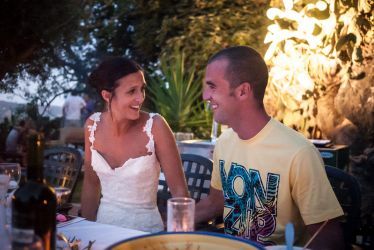 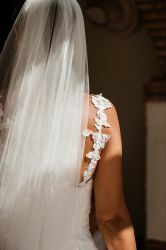 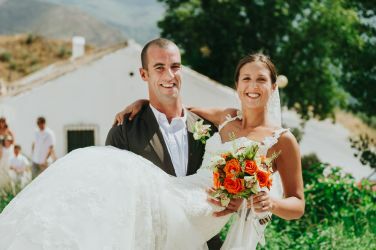 A Spanish Destination Wedding is often borne out of a conversation about what you don’t want for your wedding to be! 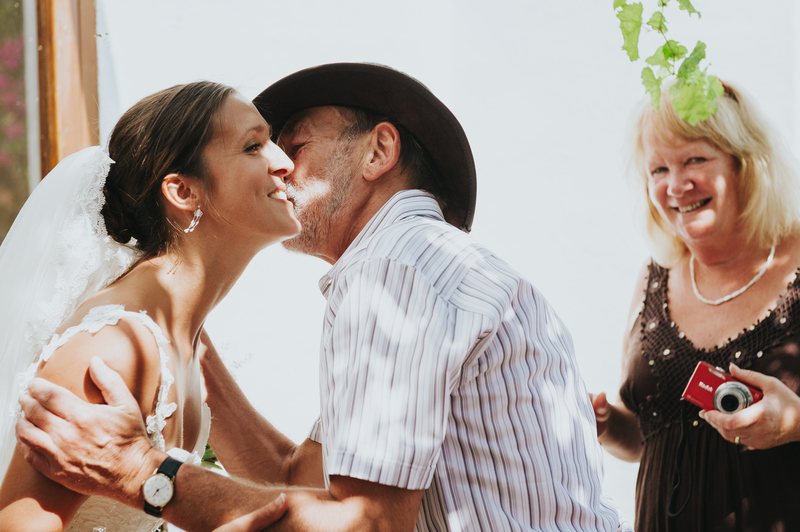 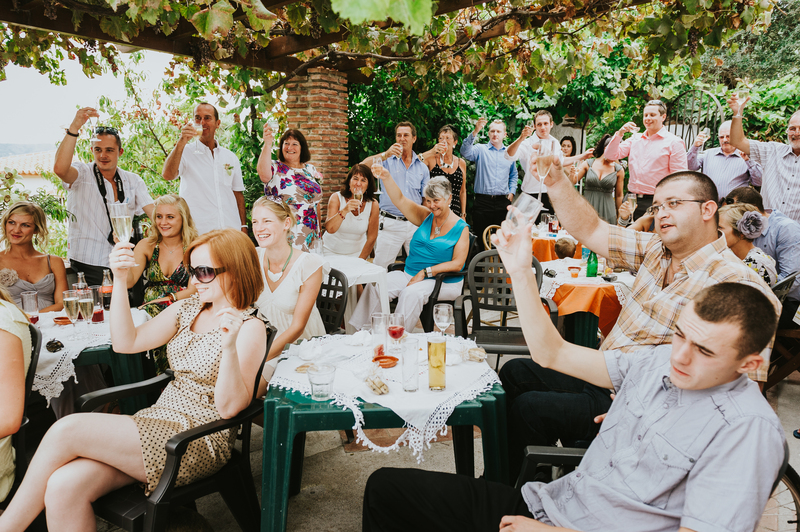 You may have strong views about the type of wedding you want to create. 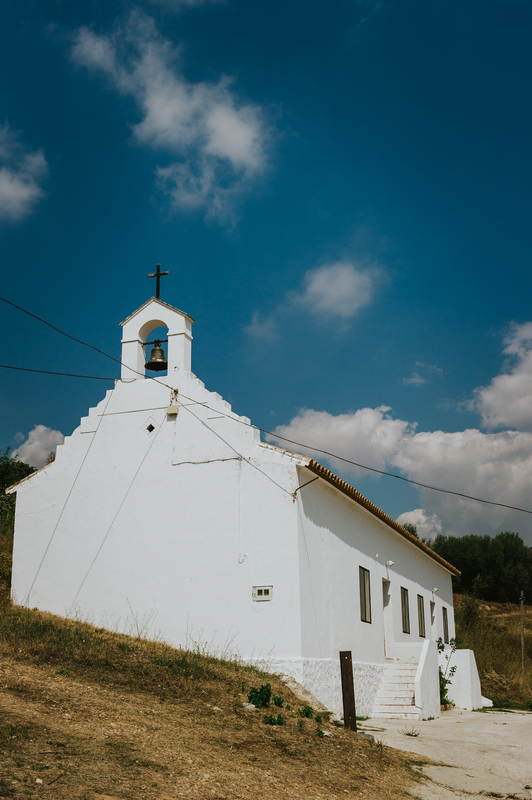 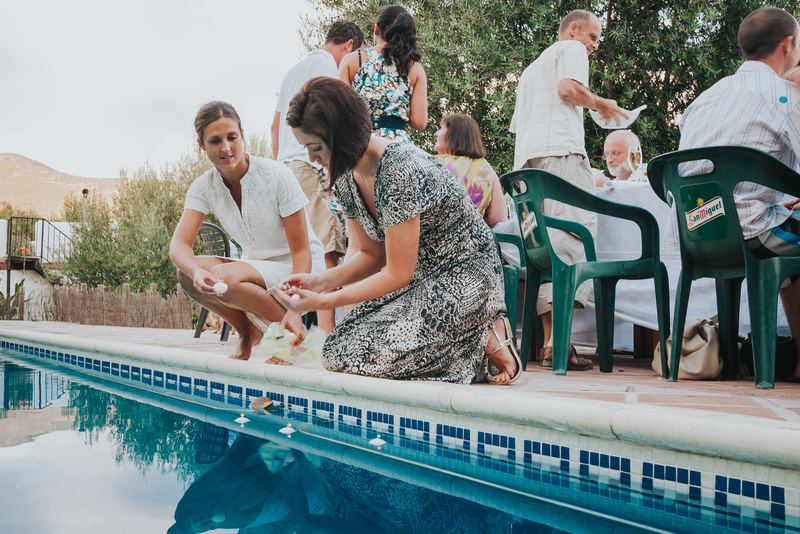 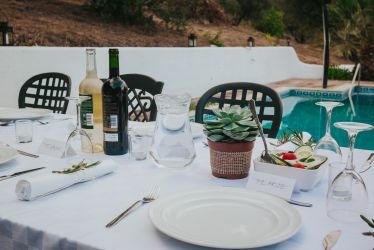 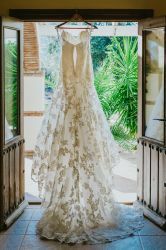 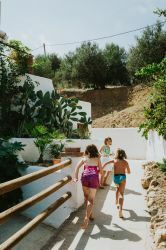 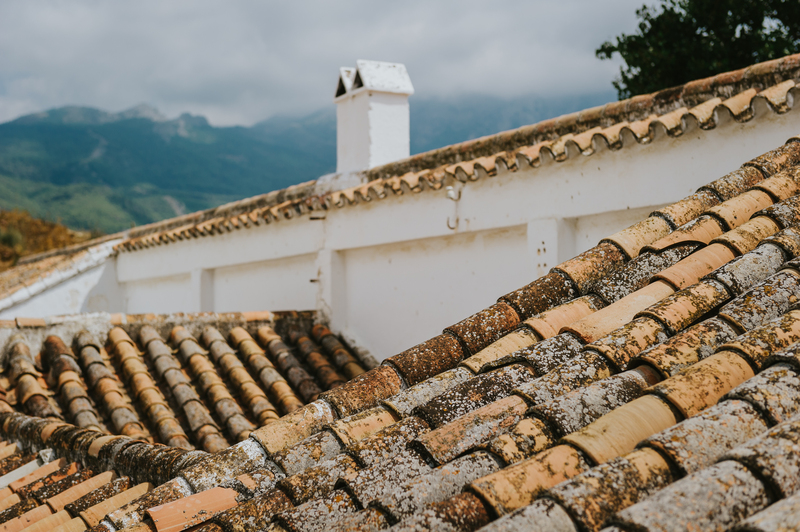 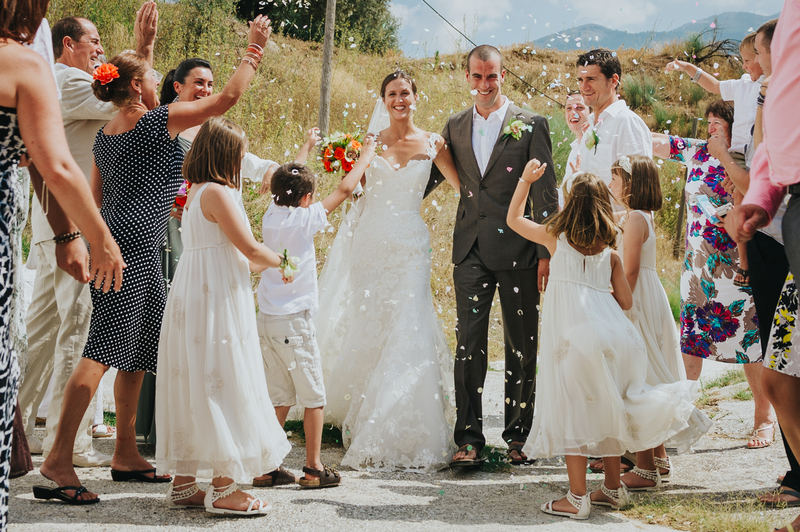 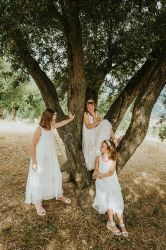 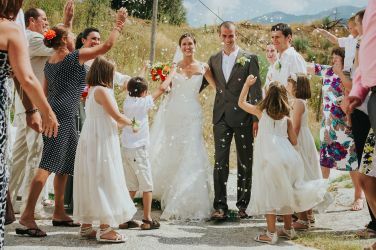 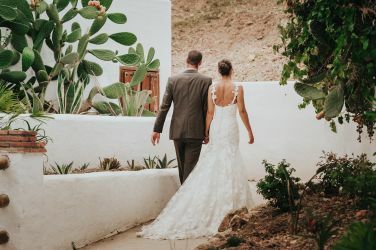 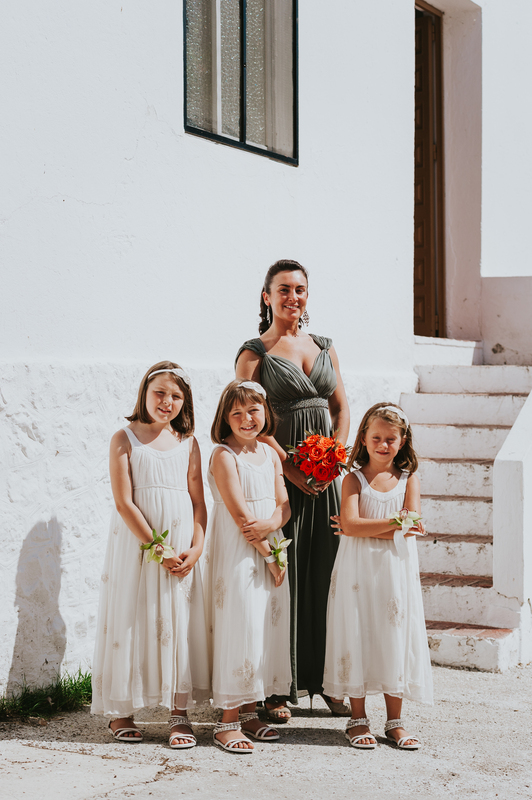 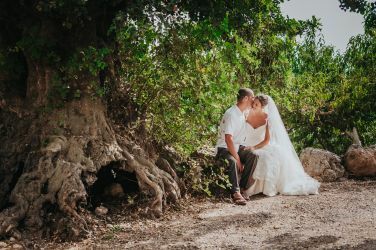 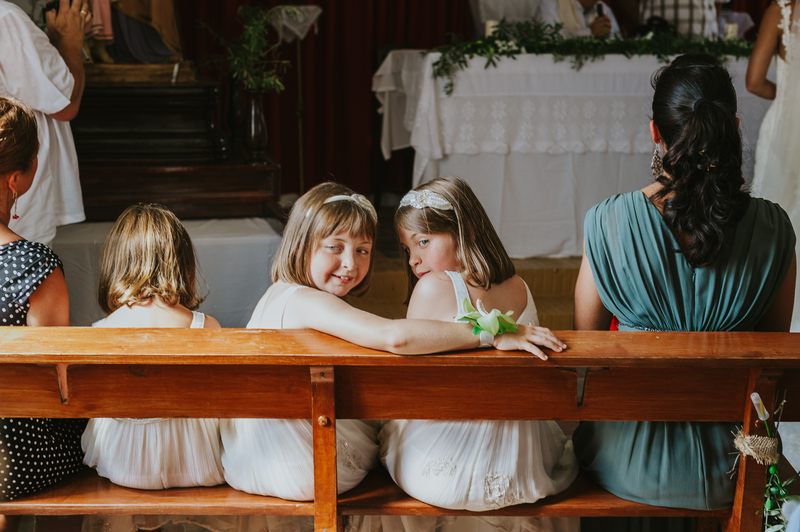 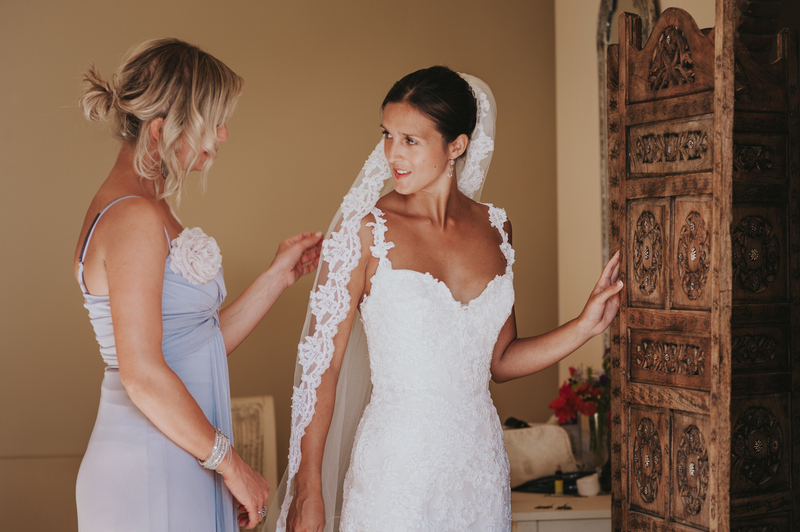 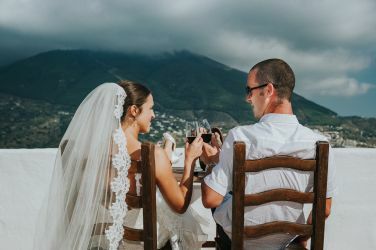 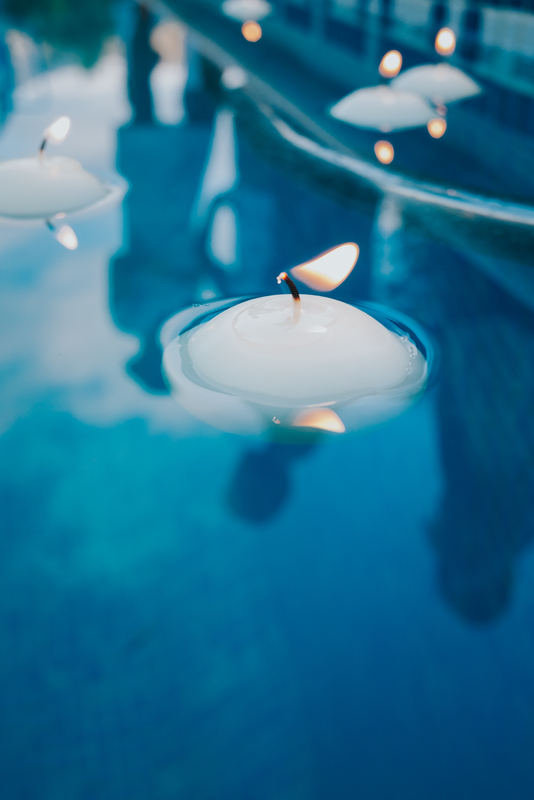 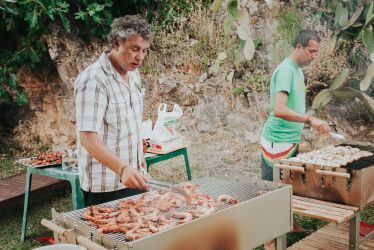 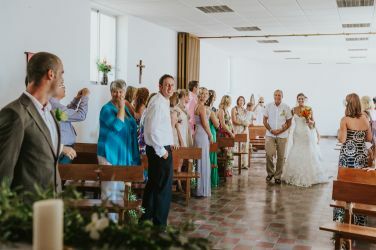 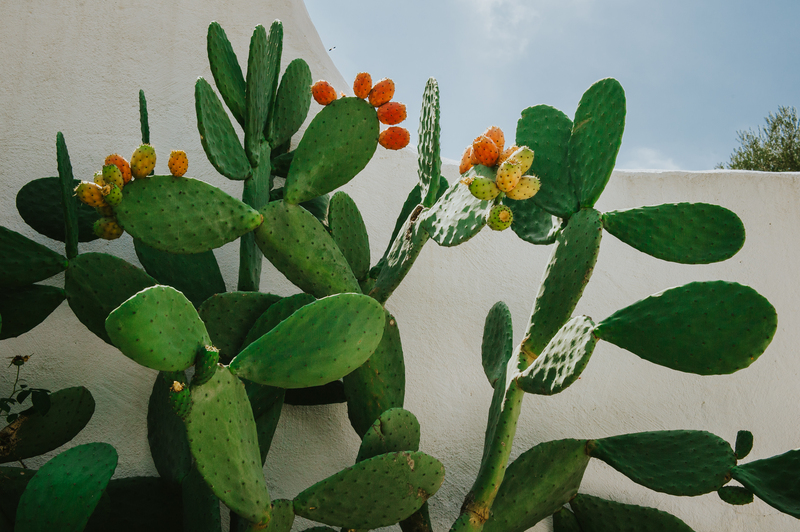 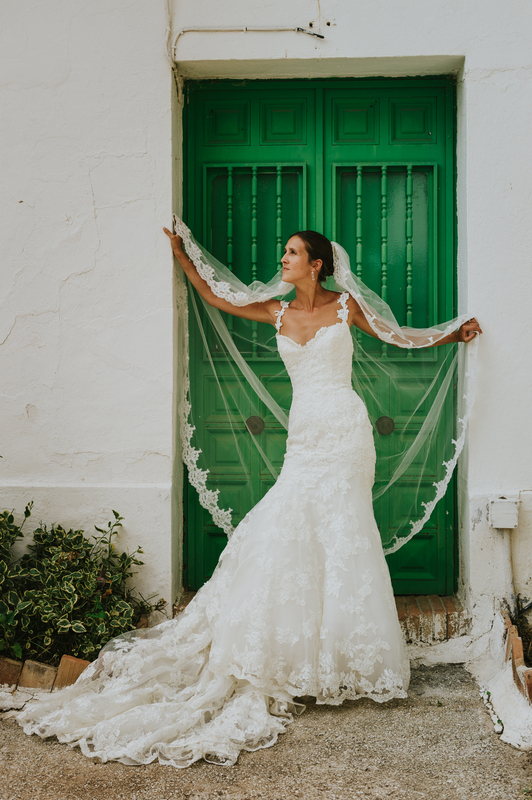 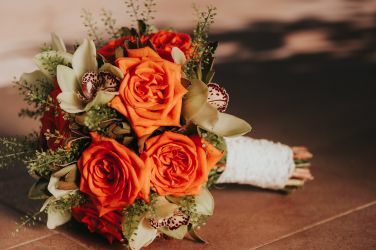 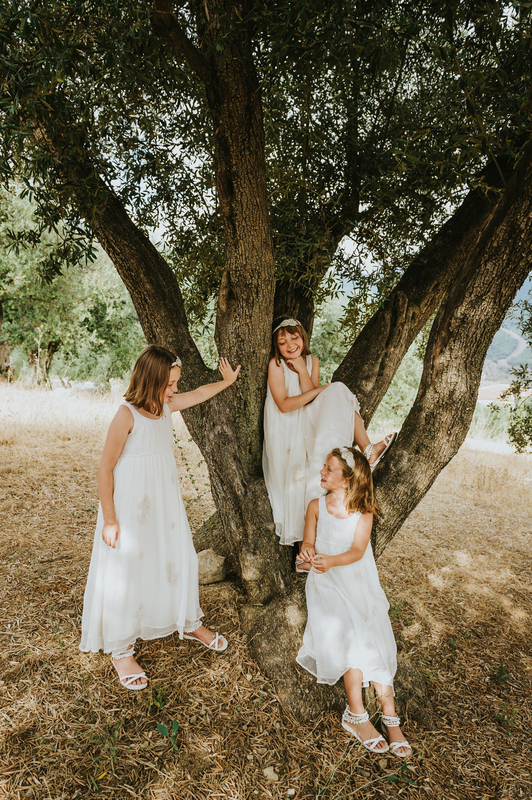 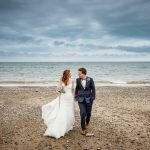 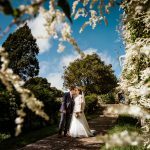 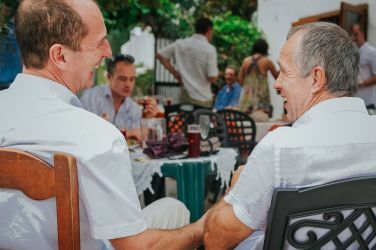 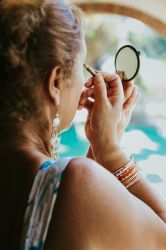 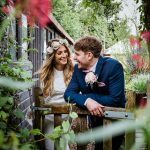 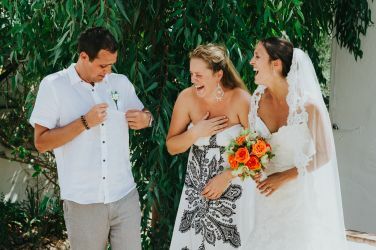 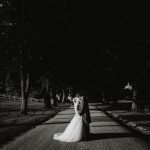 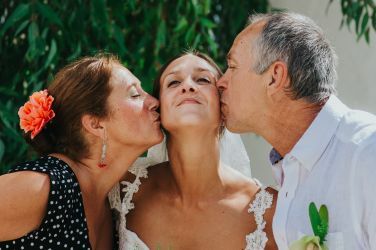 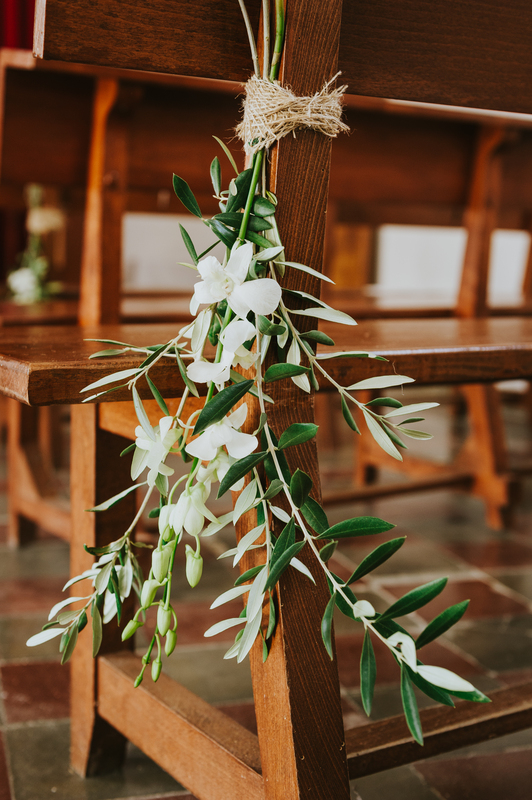 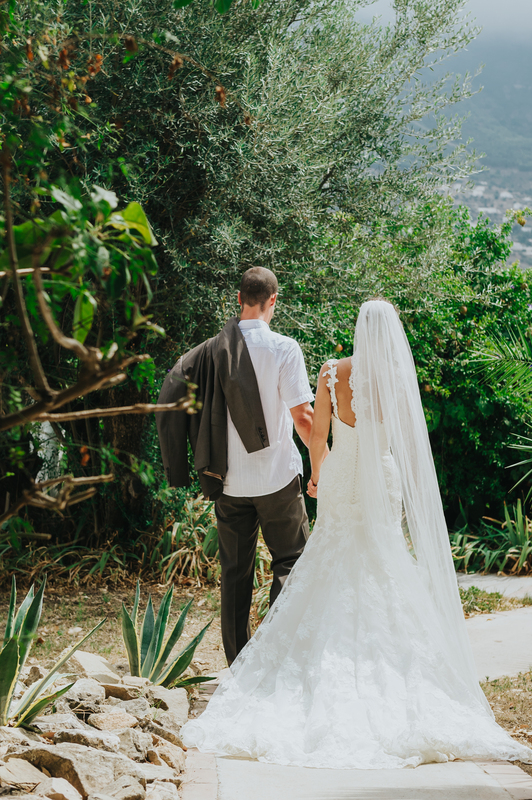 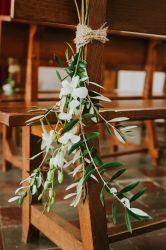 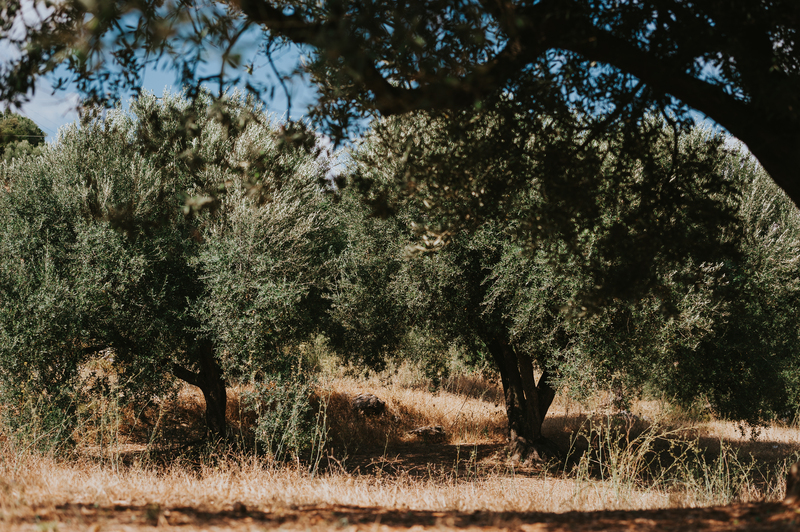 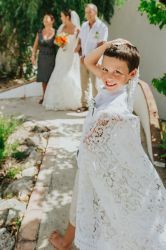 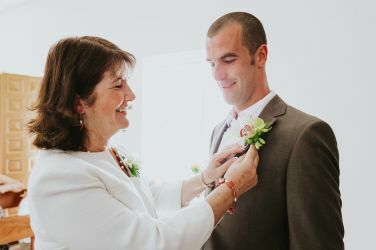 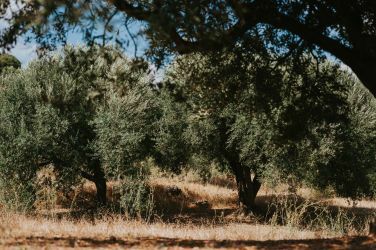 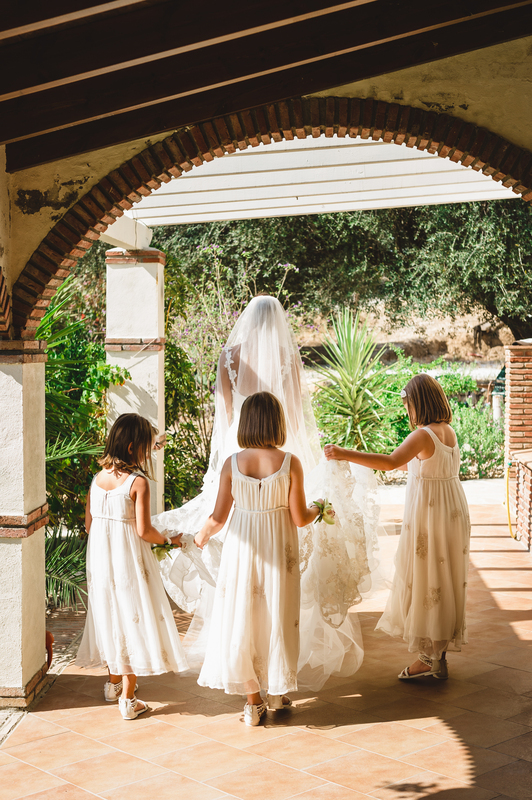 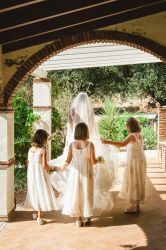 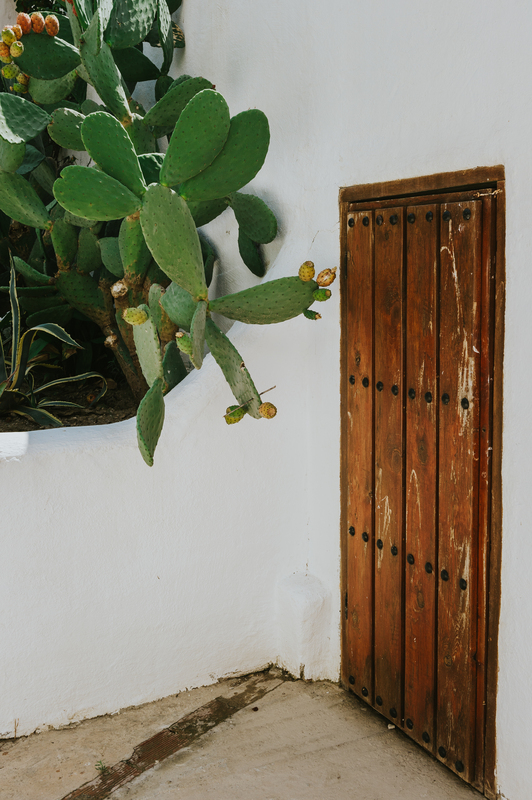 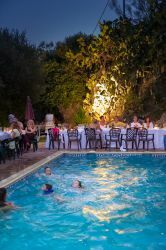 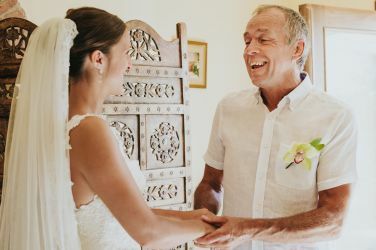 If you feel that you are having to make compromises when you view venues and discuss the type of packages on offer, then a Spanish Destination Wedding may just be the answer to your dreams. Yes, of course there will still be lots of planning and decisions to make, its a wedding!! 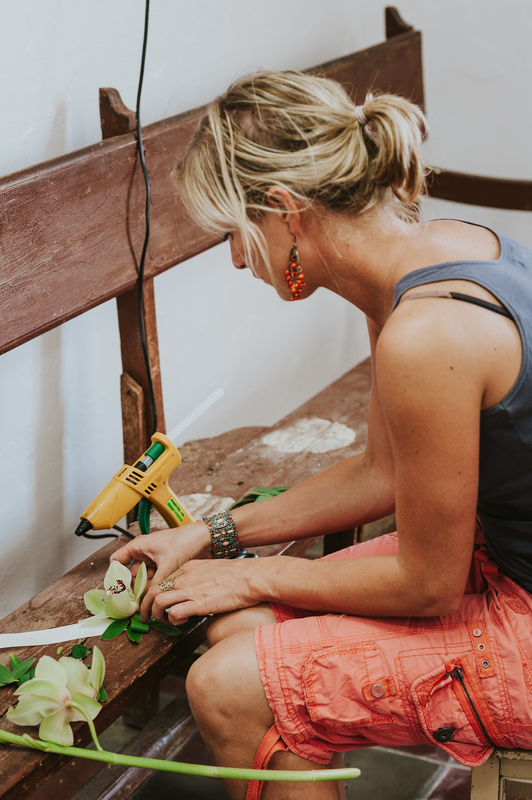 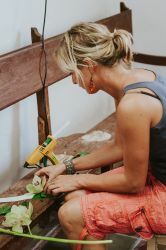 But, look what you can create with a little help from your family and friends. 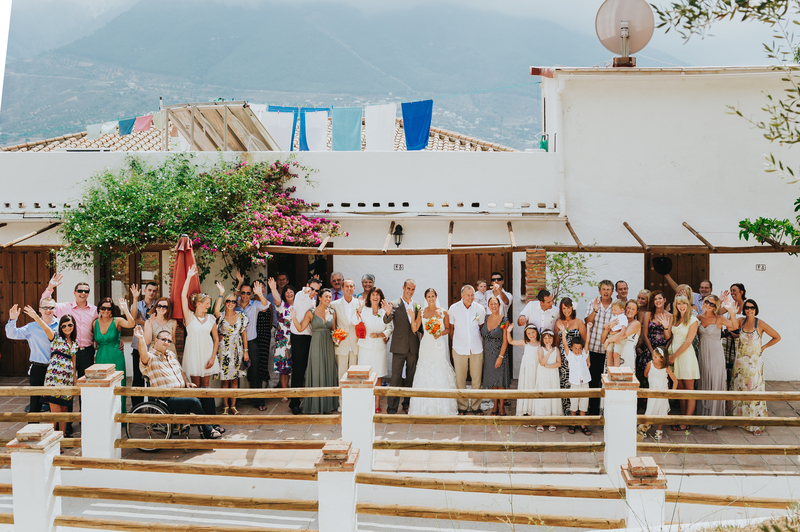 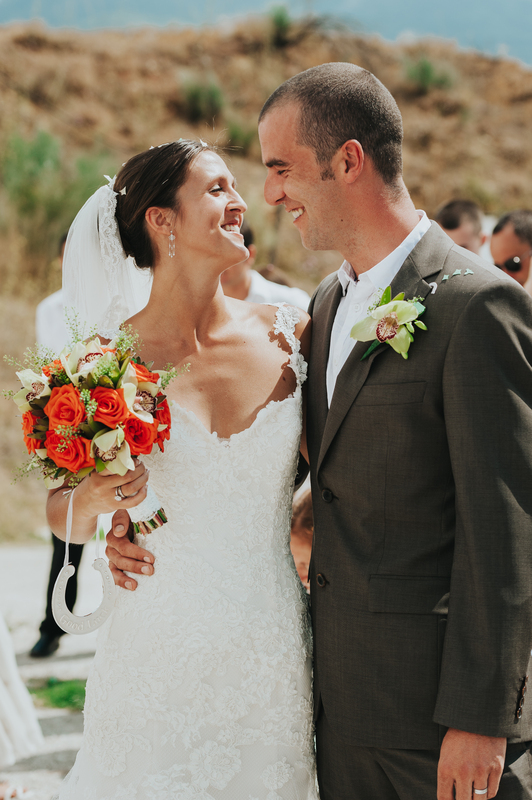 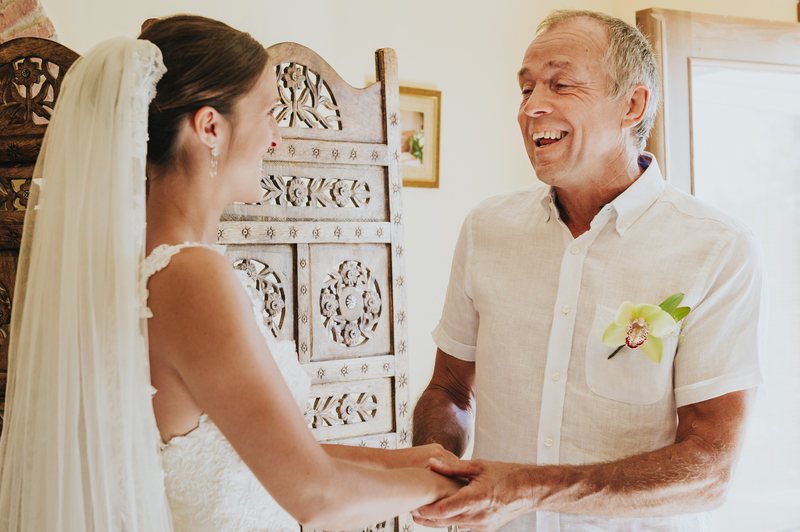 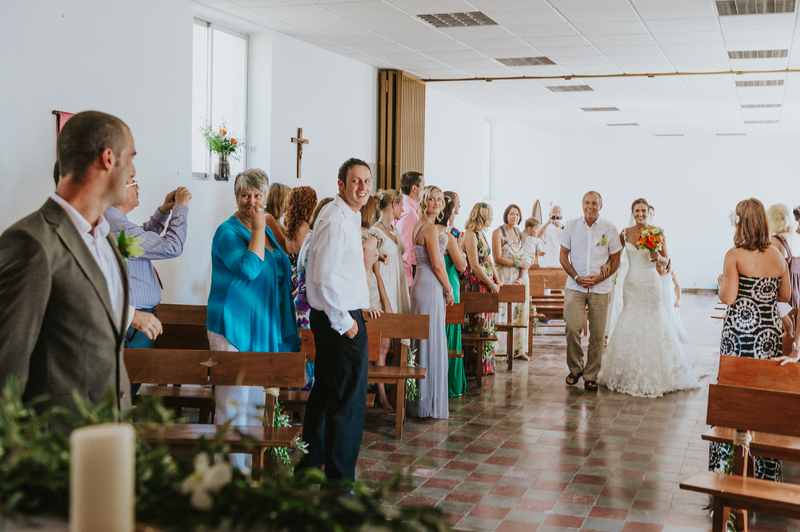 Emily and Chris decided on a Spanish Destination Wedding. 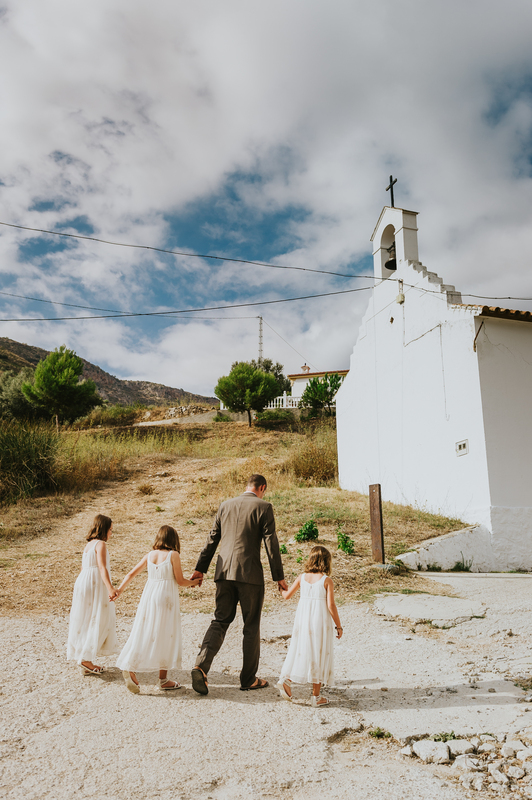 They were fortunate enough to have a sister who ran a small hotel there and this fabulous little village church was just around the corner. 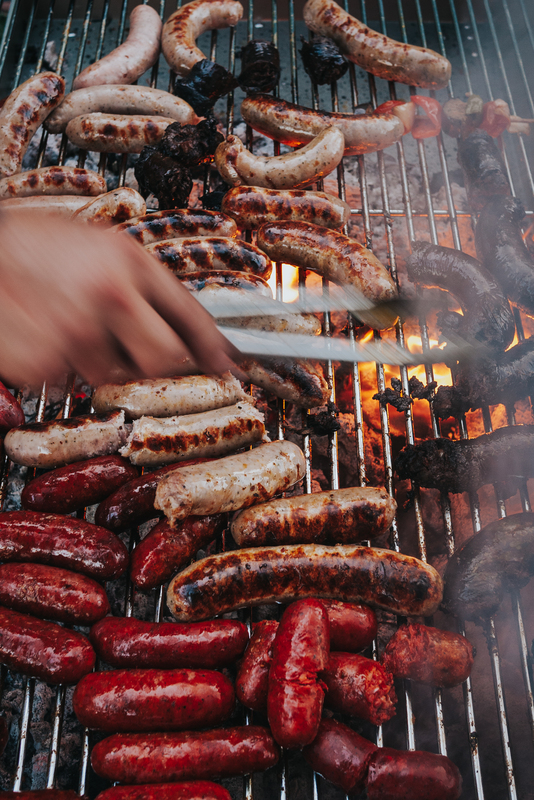 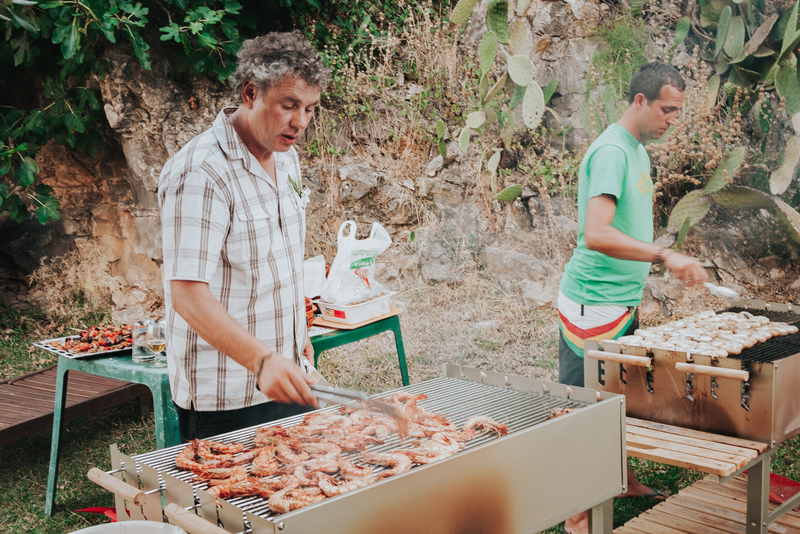 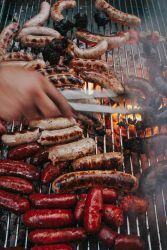 Family and friends helped to prepare the delicious tapas meal and fantastic evening BBQ (those chorizo sausages!). 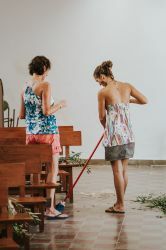 There was help to clear and decorate the church and make the wedding flowers. 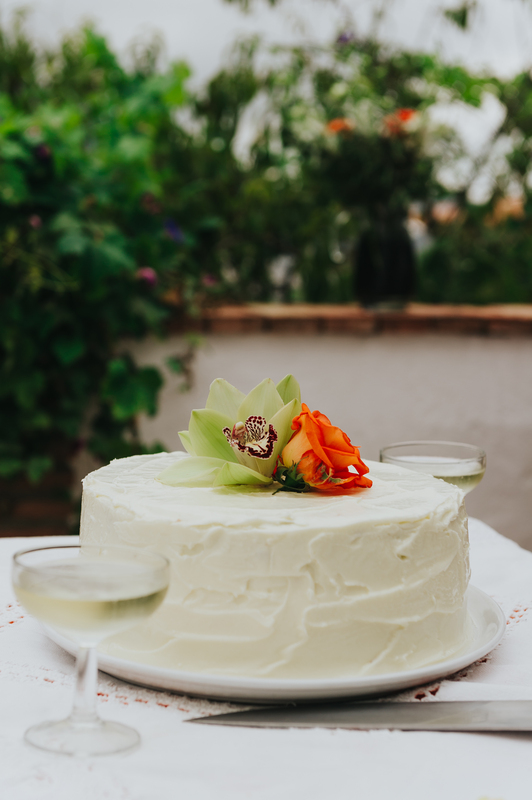 The bride and groom-to-be even baked their own cake together! It was a joyous day from start to end and yes, the sun shone. 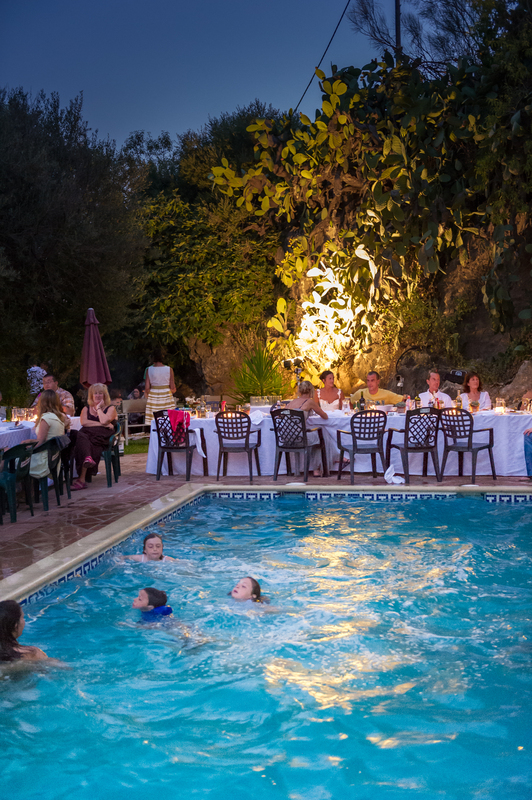 The food was amazing and not at all like a sit down Sunday lunch. 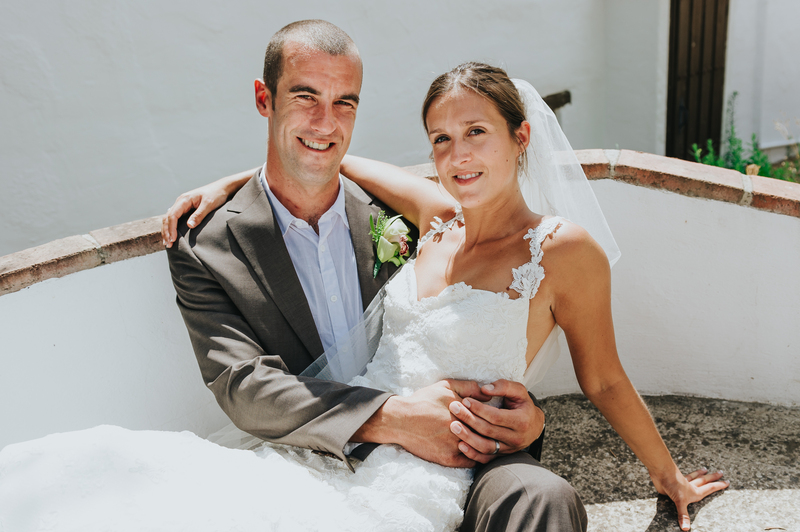 Because of this Emily and Chris were able to control very aspect of their day. 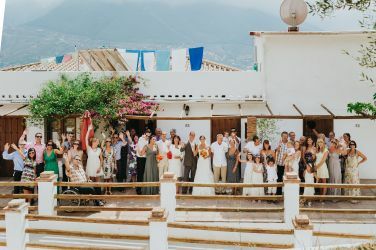 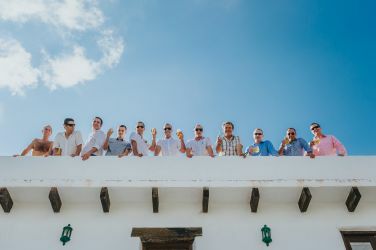 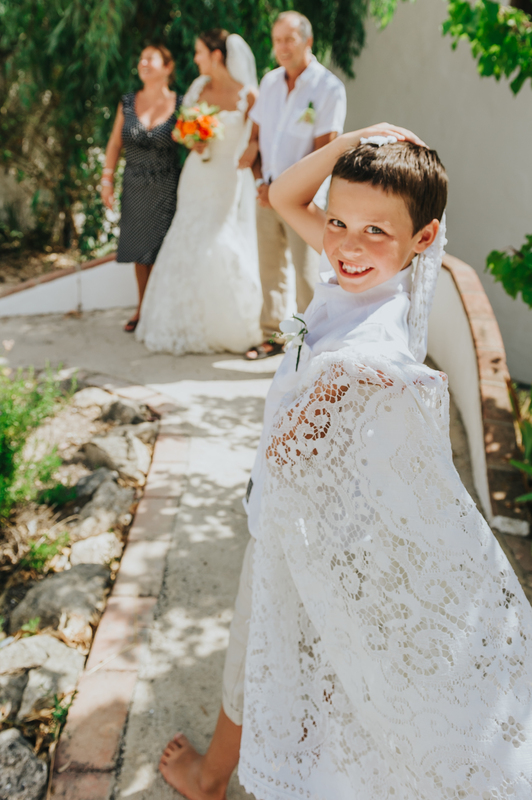 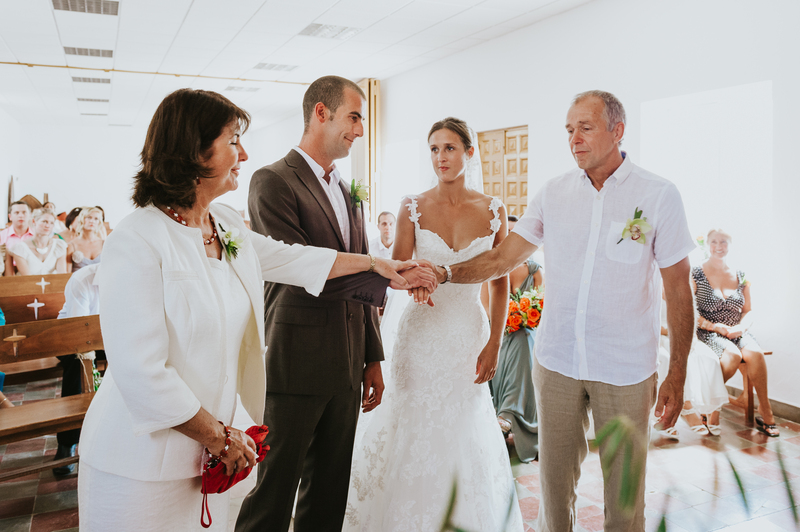 Everyone had a fantastic time at this Spain Destination Wedding Malaga.